The pope beatifies Mother Teresa, a fanatic, a fundamentalist, and a fraud. 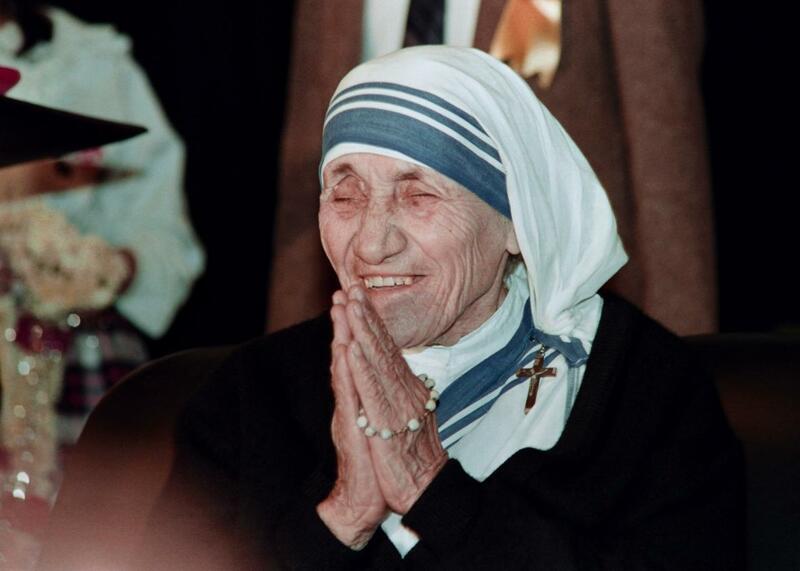 Mother Teresa of Calcutta in December 1991. In 2003, Pope John Paul II approved the beatification of Mother Teresa. At the time, Christopher Hitchens called Mother Teresa “a fanatic, a fundamentalist, and a fraud,” arguing that “even more will be poor and sick if her example is followed.” On Sept. 4, 2016, Pope Francis will canonize Mother Teresa. Hitchens’ original essay is republished below. I think it was Macaulay who said that the Roman Catholic Church deserved great credit for, and owed its longevity to, its ability to handle and contain fanaticism. This rather oblique compliment belongs to a more serious age. What is so striking about the “beatification” of the woman who styled herself “Mother” Teresa is the abject surrender, on the part of the church, to the forces of showbiz, superstition, and populism. It’s the sheer tawdriness that strikes the eye first of all. It used to be that a person could not even be nominated for “beatification,” the first step to “sainthood,” until five years after his or her death. This was to guard against local or popular enthusiasm in the promotion of dubious characters. The pope nominated MT a year after her death in 1997. It also used to be that an apparatus of inquiry was set in train, including the scrutiny of an advocatus diaboli or “devil’s advocate,” to test any extraordinary claims. The pope has abolished this office and has created more instant saints than all his predecessors combined as far back as the 16th century. According to an uncontradicted report in the Italian paper L’Eco di Bergamo, the Vatican’s secretary of state sent a letter to senior cardinals in June, asking on behalf of the pope whether they favored making MT a saint right away. The pope’s clear intention has been to speed the process up in order to perform the ceremony in his own lifetime. The response was in the negative, according to Father Brian Kolodiejchuk, the Canadian priest who has acted as postulator or advocate for the “canonization.” But the damage, to such integrity as the process possesses, has already been done. This returns us to the medieval corruption of the church, which sold indulgences to the rich while preaching hellfire and continence to the poor. MT was not a friend of the poor. She was a friend of poverty. She said that suffering was a gift from God. She spent her life opposing the only known cure for poverty, which is the empowerment of women and the emancipation of them from a livestock version of compulsory reproduction. And she was a friend to the worst of the rich, taking misappropriated money from the atrocious Duvalier family in Haiti (whose rule she praised in return) and from Charles Keating of the Lincoln Savings and Loan. Where did that money, and all the other donations, go? The primitive hospice in Calcutta was as run down when she died as it always had been—she preferred California clinics when she got sick herself—and her order always refused to publish any audit. But we have her own claim that she opened 500 convents in more than a hundred countries, all bearing the name of her own order. Excuse me, but this is modesty and humility? Correction, Oct. 21, 2003: This piece originally claimed that in her Nobel Peace Prize lecture, Mother Teresa called abortion and contraception the greatest threats to world peace. In that speech Mother Teresa did call abortion “the greatest destroyer of peace.” But she did not much discuss contraception, except to praise “natural” family planning.